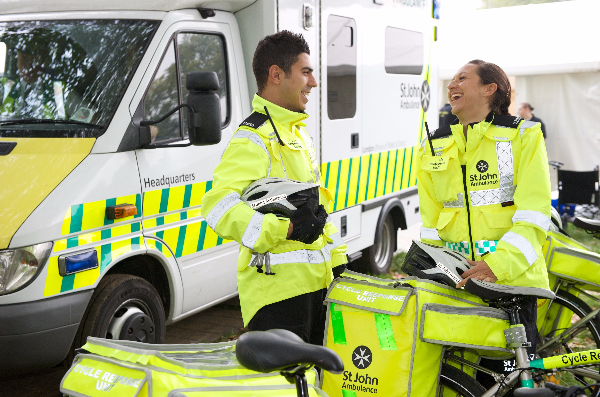 Welcome to St John Ambulance’s Weekly Lottery; your chance to win £25,000 every single week! Each time you play, you’ll be helping us save a life. Every year, more than 400,000 people learn how to save a life through our training programmes, including hundreds of thousands of young people. Our volunteers provide first aid in their communities, keeping people safe at events, and working alongside the NHS in response to 999 calls. The prizes and day to day lottery management are funded by a 25% levy on ticket revenue. In addition to this, we are charged 2% VAT which brings the total cost of 27%. This means that for every £1 play the charity receives 73p. Play for just £1 per week! Our lottery is a fantastic way to support us. With tickets costing just £1 each, and prizes up for grabs every Saturday, you too can become a life saver. Players must be 16 or over. If you play every week you will be entered into a bonus draw every month and be in with a chance of winning a special prize. Currently the prize is an indulgent short break for two! You will also be entered into our Super Draw each month! 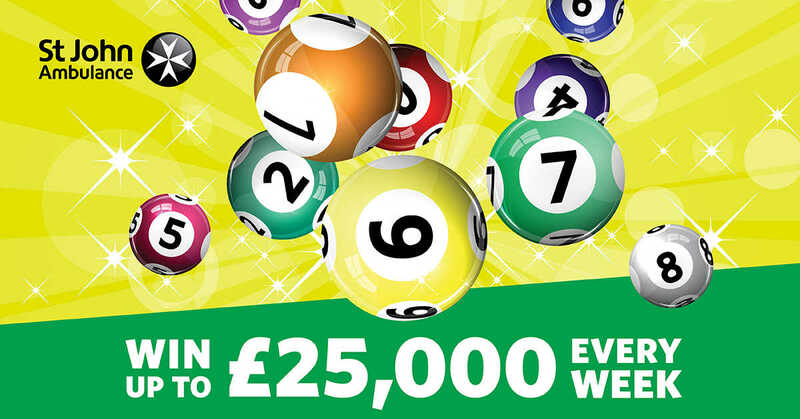 Match 6 numbers for the chance to win an additional £25,000 for you and £25,000 for St John Ambulance. This lottery is promoted by Darren Luff on behalf of St John Ambulance, 27 St John's Lane, London EC1M 4BU Registered charity no. 1077265/1. A company registered in England no. 3866129. Licensed by the Gambling Commission, licence number 000-004782-N-318265-007.